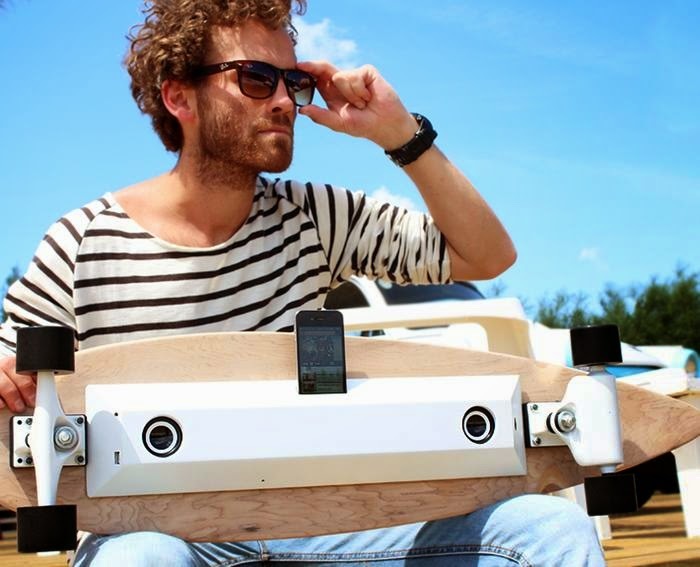 Collection of 'High Tech Skateboards' from all over the world for you to move around in comfort and style. Chargeboard: This innovative skateboard produces energy when you skate and stores it so you can recharge your gadgets later. It features two dynamos in the rear axles that generate 6V that is changed back to 5V current and gets stored in to a powerbox. Portable Electric Skateboard: It's a portable and lightweight electric skateboard with top speed of 21 km/h and a range of 10 km, comes with USB port to recharge your gadgets and is Bluetooth smart. 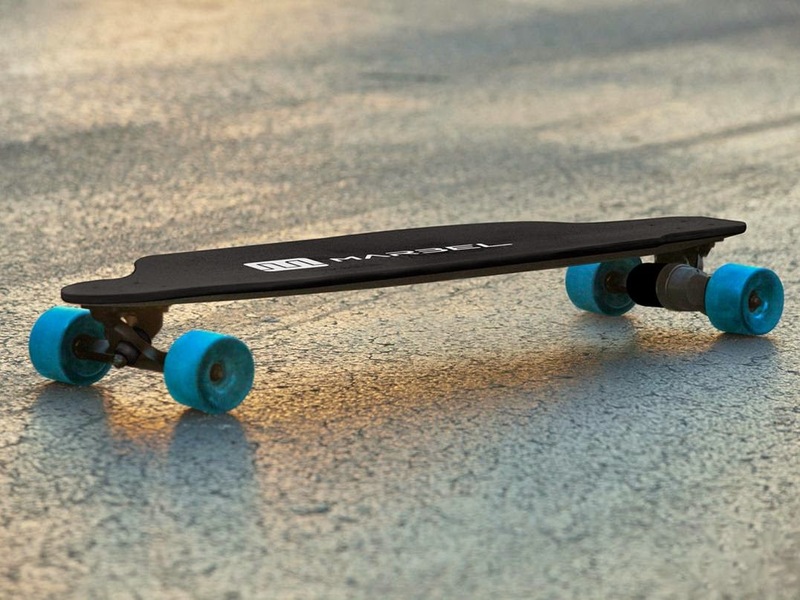 Monolith: The Monolith skateboard comes with in-wheel motors, swappable portable power source, USB port to recharge your remote and power pack through a single wall outlet. Using its USB Connect you can recharge your gadgets, has top speed of 24 mph, range up to10 miles, Bluetooth connectivity, and is weatherproof. Using its app you can view power level, adjust settings, and optimize performance. 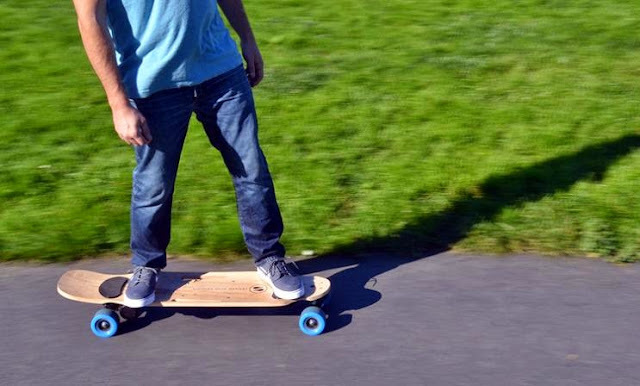 MotoTec Wheelman Motorized Skateboard: Its powered by a 2-horsepower, twostroke engine, supports rider up to 250 lbs, capable of reaching speeds 20-25 Mph and more. 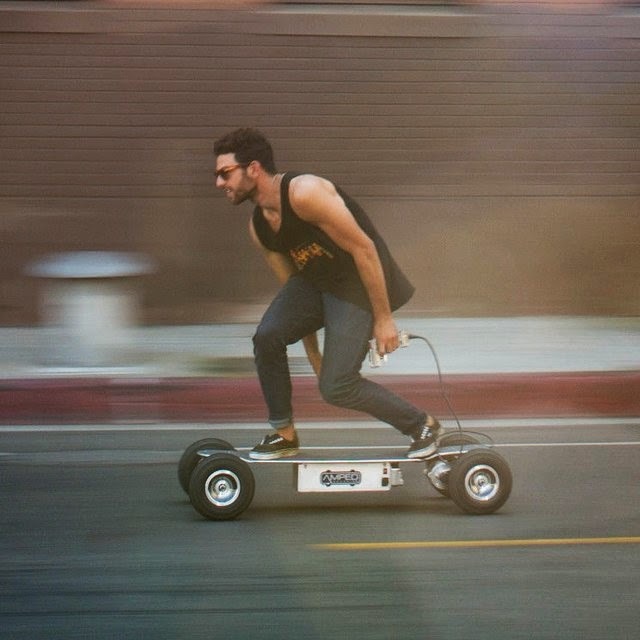 Caseboard: This cool electric skateboard features a foldable design, and a brushless motor. It can reach speeds up to 35 km/h and lasts up to 30km on a full recharge. It comes with a rechargeable wireless 2.4G handcontroller with power indicator that lets you know when to recharge your board, forward and reverse mode, fast and slow speed settings, speedometer, light, control power indicator, and horn. 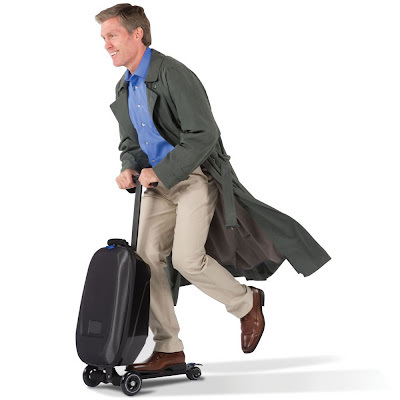 Micro Luggage Scootcase: The Samsonite Micro Luggage Scooter is an innovative luggage which can be used as a means of easy transport within airports. 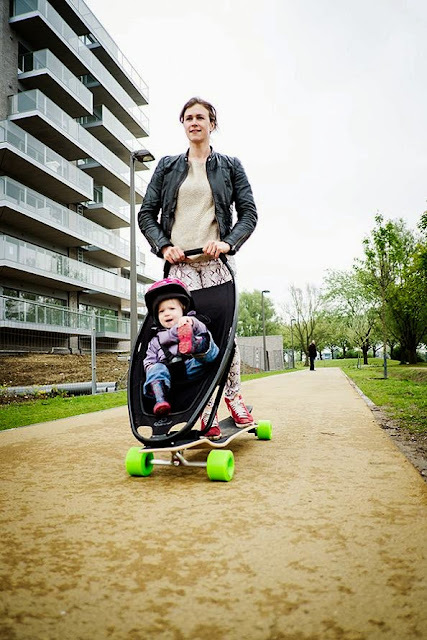 Quinny Longboard Stroller: The Quinny Longboard Stroller features a a stroller to have fun outdoors with your kid. 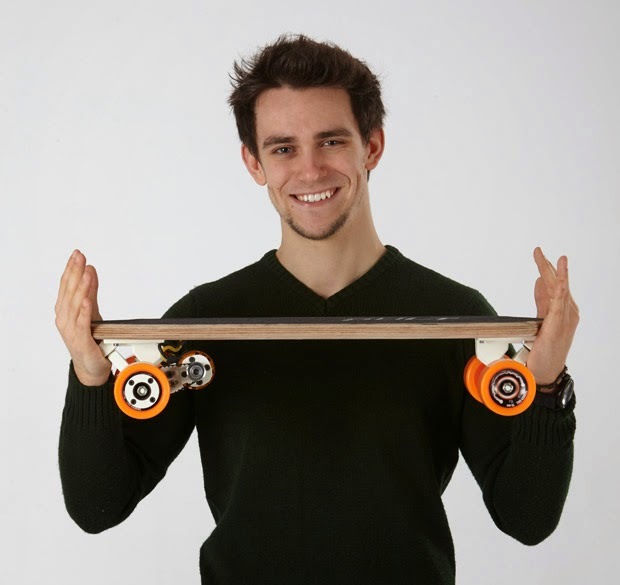 Marbel Board: The Marbel Board is lightweight, fast, and easy to use. It weighs only 9.9 lbs, reaches up to 20 MPH and has a 10 miles range on a full recharge. You can control the throttle and braking of the board with its handheld remote or the app. The board's settings can be completely customized through the smartphone app. The app gives you three pre-defined ride modes, control over top speed and acceleration levels, lets you lock and unlock your board, set an alert for low on power, mapping and connect with the community. 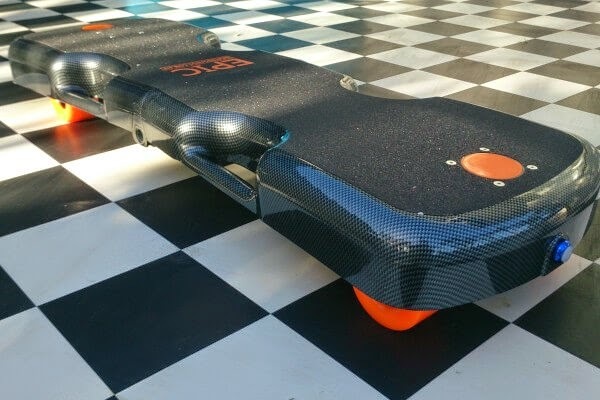 Boosted Board: This awesome motorized skateboard lets you control the speed and torque limit to suit your riding and skill level. Its handheld Bluetooth lets you change mode, accelerate or apply the brakes. The board can reach speeds up to 18-22 mph and goes for 6 miles on a full recharge. Onewheel: The Onewheel is a self-balancing electric skateboard that speeds up when you lean forward and slows down when you lean back. It features a 2000W brushless hub motor, can reach up to 14 MPH, and can go for 6-8 miles per recharge. 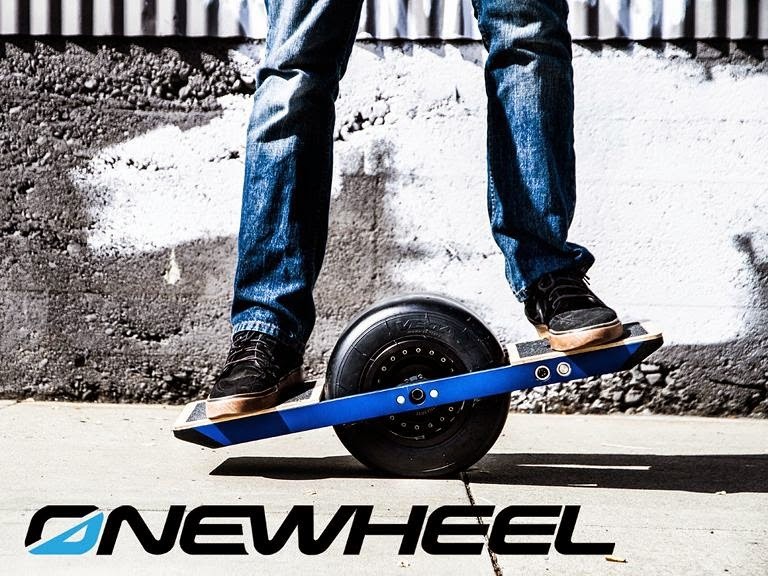 Its upcoming app connects to Onewheel via Bluetooth 4.0, allows you to select different riding modes, top speed limiting, tracking ride activity through GPS, and sharing with friends, locking the Onewheel, and more. Zboard 2: The Zboard 2 is a weight-sensing electric skateboard that features a 500W brushless motor, and top speed of 20 miles per hour. All you need to do is lean forward to go and lean back to stop. Post Modern Skateboard: The Post Modern Skateboard are the annular skates that propel by leaning side to side. You need to place your feet on the two platforms and lean sideways to rotate the rubber wheels that propel you forward. You can easily perform 720° spins, as wheels are not connected. 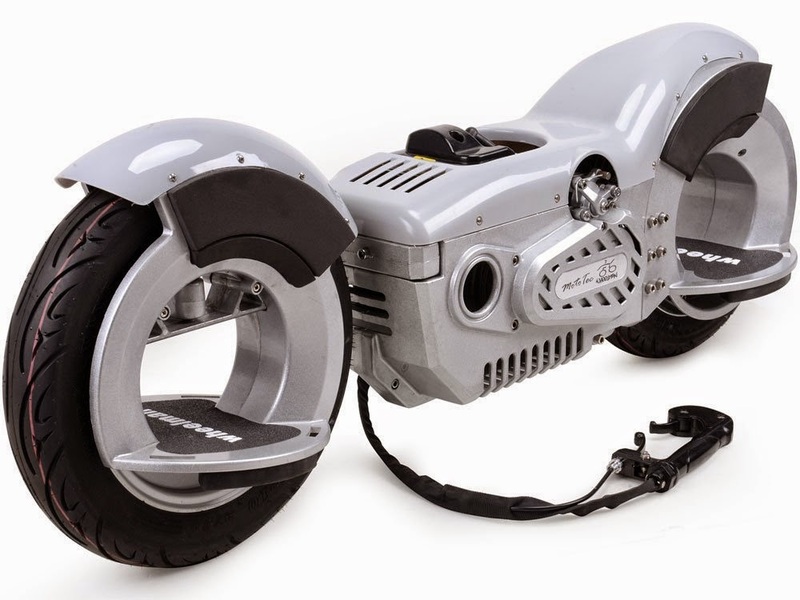 E Glide Electric Powerboard: The E Glide Electric Powerboard is a multi terrain powerboard, powered by 36 volt, 800 watt motor; an oversize drive belt transmits the power, can go 0-23 MPH in five seconds and allows up to fifteen miles of riding. 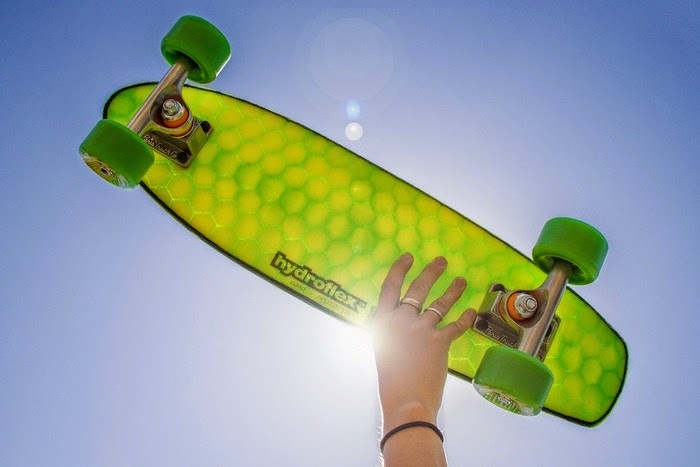 Hydroflex: The Hi-Tech skateboards are light, strong and waterproof, features a honeycomb design and comes in 10 unique colors. 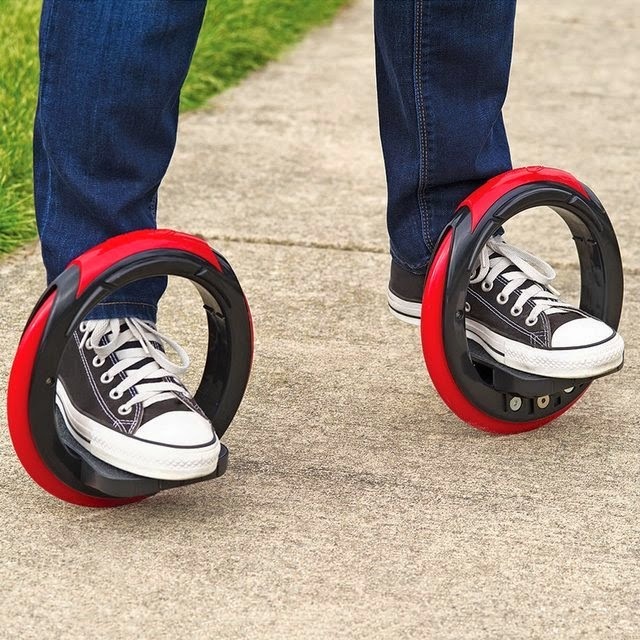 Hendo Hoverboard: Hendo Hoverboard is said to be the world's first real hoverboard. Its hover engines induce an opposing magnetic field in the surface substrate below that provides lift, levitating the board off the ground.